This book is an important work of ethnographic research into how middle-class women in India understand and experience transformations of family life affected by India's liberalization policies, socio-economic changes and the neo-liberal ideologies reproduced in the urban setting. The author conducted her fieldwork in Calcutta between 1995 and 2005, focusing on marriage, kinship and intimate relationships as a complicated set of practices that are inevitably raced, gendered and classed. Through a series of interviews, Donner gives voice to Indian mothers of different ages and generations, mostly belonging to the dominant ethnic/religious groups in the city, and makes visible their often submerged experiences. Significantly, what emerges with great clarity is their individual and collective agency and the will to challenge rapidly changing social and cultural arrangements around them, providing a counterbalance to stereotypes of motherhood as a state of submission. The author argues that locally constructed, class-based practices and identities that emerge in conjunction with both patriarchal arrangements and global transformations are crucial to the understanding of contemporary Indian motherhood. The book's major strength is the diligence of its empirical research and its balance between contemporary and historical analyses, adding depth to readers’ understanding of the connections between parenting and socio-economic conditions. The text is on the whole compellingly argued and eloquently written, and the author draws on a wide range of sources to make her case, illustrating it with convincing quotes from her interviewees. In the introduction, she insightfully reflects on her positioning as a female anthropologist in the urban space and her gradual emergence in the lives and practices of Indian women. Five consecutive chapters focus on five main themes: domesticity, intimacy, birth, child education and food consumption in the middle-class sphere. In each chapter, Donner offers her own theoretical perspective, and uses a backdrop of authors to underpin her critique of current discourses reproduced alongside notions of family. Two chapters in particular provide engaging reading: Chapter Three, The Place of Birth, focuses on the discourses surrounding medicalized childbirth as a middle-class privilege. It describes the transformation of childbearing through the move to hospital birth, increasingly involving Caesarian sections, and its implications for the notion of classed motherhood. The final chapter, Motherhood, Food and the Body, highlights the manner in which maternal bodies are re-inscribed as sites of social transformation and discusses women's agency as consumers through the ‘new vegetarianism’ popular among middle-class mothers. It contains a fascinating section on how a vegetarian diet was originally prescribed to spinsters and widows in order to discipline their bodies and sexual appetites, and how the ideal of physical restraint through eating practices became a preferred preoccupation of a ‘good’ middle-class wife and mother. However, while the chapters are wide reaching and explore a number of important issues, the conclusion is short and does not provide a clear summation and clarification of the author's arguments and intentions. Although the work addresses a diverse range of topics regarding the negotiation of contemporary motherhood in globalized India, some topics are clearly missing, and their absence is not commented on sufficiently. The middle class is presented as a predominantly homogeneous, heterosexual space – and feminine space (there is total absence of male voices). No comparison is made with more marginalized communities or more challenging situations (for example working class or sexual minorities), which sets the described community in a sort of a vacuum. The book opens with a short anecdote of the Congress Party's women's group meeting, where a teenage bride has come to make an official complaint about her in-laws who have been abusing her physically and verbally. Although an intervention is promised, her story is nevertheless dismissed by the majority of women present. That seems to be a recurring theme in the book itself – any hint of violent or traumatic experience is removed from the argument and the silences, although signalled, are not taken into an account. Considering that India is a country where violence against women is significant, that seems a big omission, as those silences alone would make the text a valuable source of knowledge on (non-western) mothering practices. Overall, Domestic Goddesses presents itself as an anthropological text, and stays within its own confines. Making a significant contribution to current anthropological discussions on kinship and marriage systems in developing societies, it is an interesting text for anthropology students, but leaves a feminist scholar hungry for more. Concepts such as attachment, affection and bonding between mother and child and gendered infant development would contribute greatly to its reading. Motherhood for Donner, and maybe rightly so in the anthropological sense, consists of culturally specific practices to nurture and socialize children into full members of a given society. Clearly each of the themes structuring the book has been important in feminist historical thinking, although there are additional areas that are not mentioned. Although the author objects to motherhood being constituted as natural, unproblematic and apolitical, she describes it primarily through nurture, care, food and marriage – the most traditional (and often oppressive) tropes connected to it. 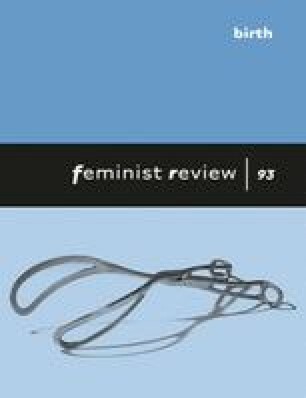 Surprisingly, there is little discussion about how the themes of the five chapters were arrived at and which alternatives were considered, nor is there consideration of the very different understandings of those themes in feminist scholarship. The book's title, in that light, is less ironic than it might be desired – the category ‘mother’ often remains reified and universalized, despite its strong local positioning.